Emma Burlow is the Head of Circular Economy at Resource Futures. 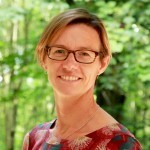 She is one of the UK’s leading specialists on circular economy and resource efficiency in businesses. Having worked for 20 years in the resource efficiency sector, Emma has an excellent overview of how to manage projects of scale, alongside the detail of what drives engagement of businesses and ultimately, project outcomes. This experience gives Emma a unique depth of understanding of the critical success factors for supporting businesses to implement more resource efficient business models, in particular, the importance of understanding the financial viability early on in the process, getting key partnerships right and understanding the marketplace. Emma was project manager and delivery consultant for the WRAP REBus project between 2014 and 2016. This project aimed to demonstrate how both large organisations and SMEs can transition to more circular business models across four key markets: electrical and electronic products, clothing and textiles, furniture and construction. Each project involved intensive market research and feasibility studies around the commercialisation of circular business models including leasing; rental; incentivised return, reuse, repair, refurbishment and remanufacturing for a wide range of manufacturing and service sector companies including Argos, Ikea, DHL, Sky and Beko as well as London based SMEs such as Alexandra Wood, Globechain and award winning Premier Workplace Services. Emma currently directs RF’s circular economy work in Scotland, delivered through the Zero Waste Scotland CE Business Support programme and WRAP’s collaborative change programme in Wales. She was project director for the recent Use Phase Characterization of Plastics report for the Resourcing the Future partnership. In addition, Emma has worked on circular business models with a number of companies including Lego (reuse strategies), B&Q (rental of power tools), Panasonic (incentivised return of TVs); M&S (asset reuse) and John Lewis (take-back).